Democrat Congressman Ted Lieu’s backside must still be hurting after a House Judiciary Committee hearing on white nationalism and hate crimes on Tuesday. After a shortsighted attempt to suggest that conservative commentator Candice Owens approved of Adolf Hitler and his ‘nationalism’ through the use of selectively edited audio, Ownes handed Lieu his @ss. 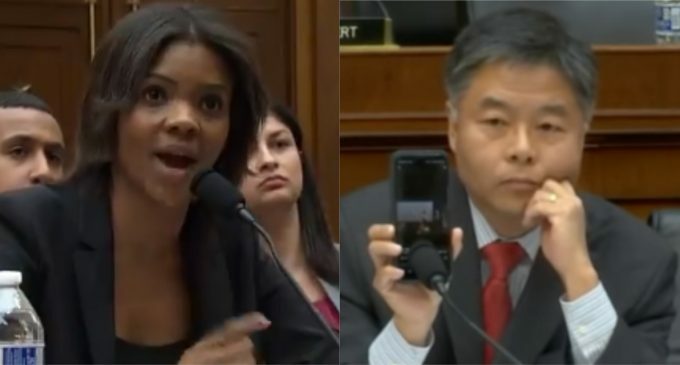 During his remarks, Lieu noted that the minority party is allowed to choose its own witnesses for the hearing – and Owens was among eight witnesses selected. Move to the next page to continue.